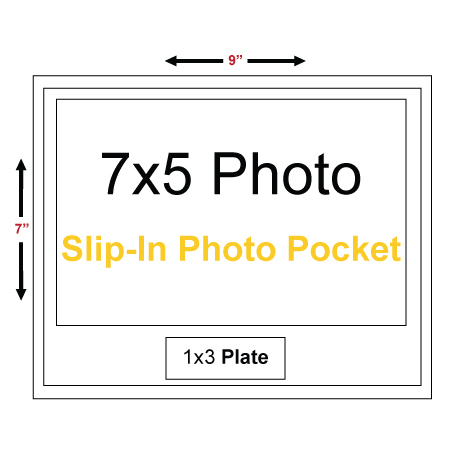 9"x7" plaque with a 7"x5" photo pocket for a group photo, and a stock plate of your choice. 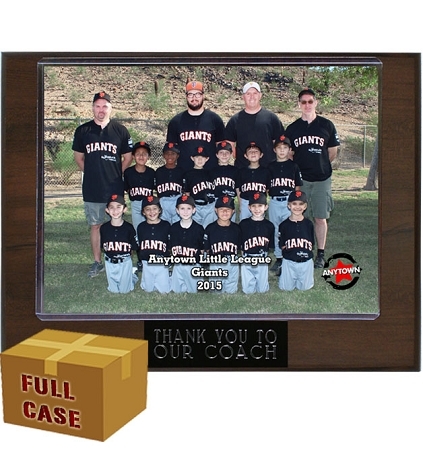 Choose from Sponsor, Coach, Assistant Coach, Manager or Team Mom. 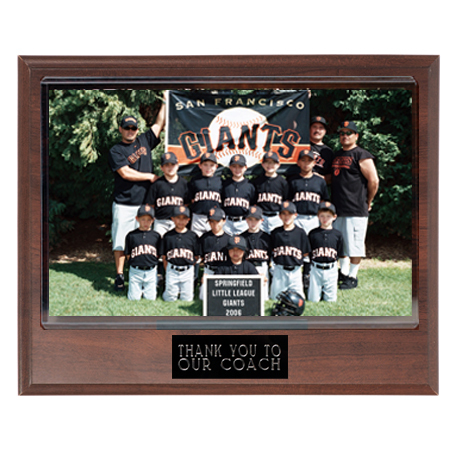 Stock plates are engraved by diamond drag (etched silver on black) method.